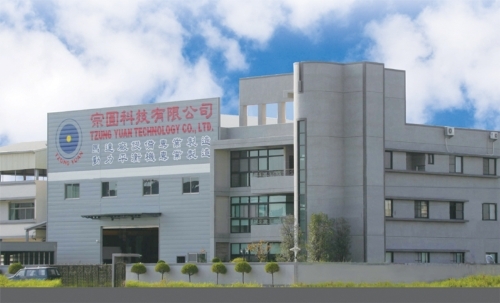 Tzung Yuan Technology Co. was established in 2006 as successor to Wu Tzung Electrical Machinery Co., which was founded in 1980. Today, Tzung Yuan is one of Taiwan’s foremost manufacturers of top-end specialized balancing machines in Taiwan. Tzung Yuan is devoted to the constant development and improvement of balancing machines in line with market trends, a dedication that sets itself apart from its peers. The launch of its first fully computerized model, the THM-311, which was developed for dynamic balance detection and correction of clutches and other rotating disk-type units, marks the beginning of the company’s move upmarket by switching from traditional balancing machines to digital models. Today the company’s product range encompasses automatic 5-stage rotor-balancing machines, automatic 2-stage rotor-balancing machines, automatic brake-disc balancing machines, vertical auto-positioning balancing machines with touch displays, balancing machines for woodturning tools, dynamic balancing machines, micro balancing machines, automatic rotor balancing and imprinting machines, rectangular computer-controlled fan blade balancing machines, high-speed rotary destructive testing machines for grinding wheels, fitness and sport equipment, rotator balancing machines, DC power supplies, digital speedometers, machinery parts and accessories, A+B epoxy resin, balancing clay for high-RPM rotors.